Schools and growing groups have been awarded £1,500 of gardening vouchers after impressing judges in a composting challenge. The challenge was part of a project Anglian Water’s Keep It Clear programme has been running with Lincolnshire Community and Voluntary Service (LCVS) called Fat of the Land. 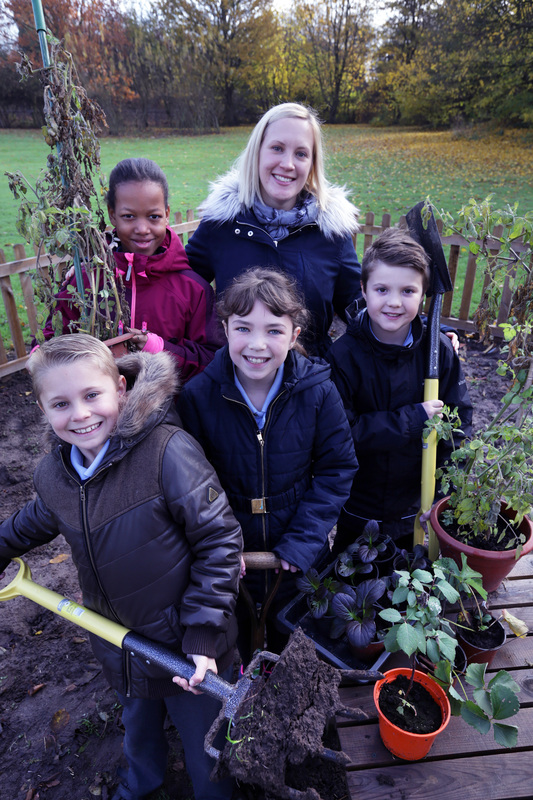 Growing groups and schools in Skegness, Boston and Spalding competed for a chance to win garden centre vouchers to further their green-fingered skills. The quality of entries was so high that five rather than four prizes were given – the additional prize awarded for innovation. 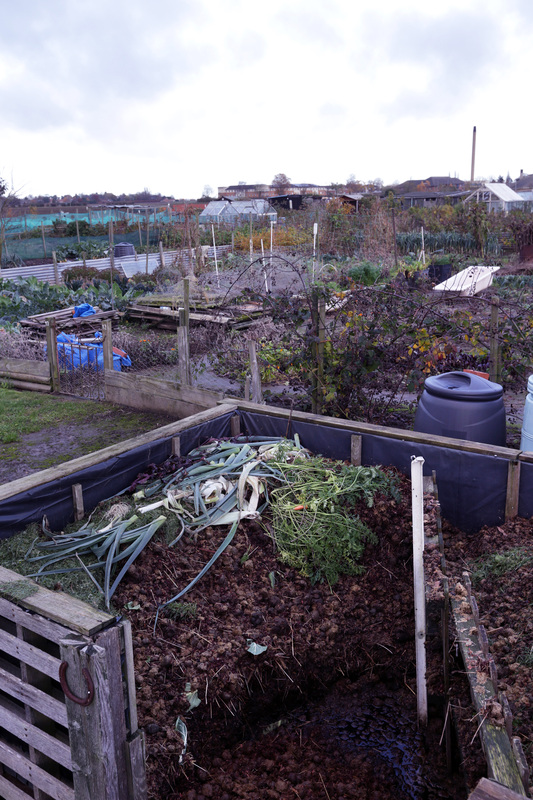 The aim of the Fat of the Land project was to grow awareness of the problems caused by food waste, fats, oils and grease blocking sewer pipes, which could lead to flooding and potential pollution – something that is particularly important to highlight in the run up to Christmas. Each of the 12 groups that took part received a HOTBIN composting bin for their growing projects and a total of 600 giant pumpkin seeds. 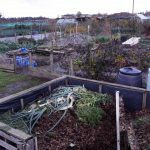 On top of that, winners each received £300 of gardening vouchers for the best growing projects and the biggest pumpkins using compost from the HOTBINs. 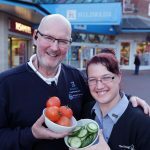 Hildreds Shopping Centre used the HOTBIN to compost waste from the on-site café – tea bags, coffee grounds, food waste and fat/oil produced through cooking. Within weeks they had produced their first box of compost. Hildreds Centre manager Steve Andrews and Zoe Feeney, of The Cottage Loaf Café. Staff made planters for a flat roof area of the centre and planted seeds to grow pumpkins, a vast crop of tomatoes, chillies, sweet peppers, courgettes and herbs, the intention being to grow produce for the café using its own waste food compost. Staff members were so taken by the project they are planning to expand their work next year by introducing a green house. 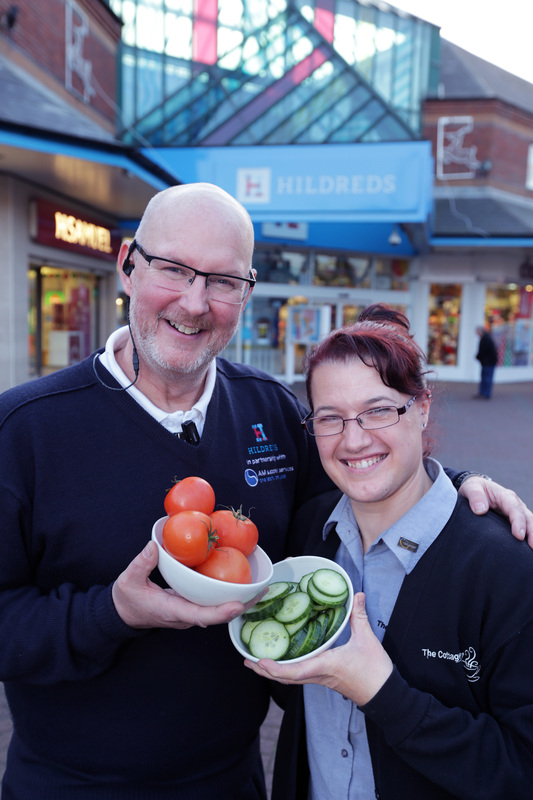 Steve Andrews, centre manager, said: “The Hildreds has always had Green Credentials and a Green Responsibility to not only its tenants but also to the visitors to the centre. “Over the past 28 years we have implemented many initiatives to reduce, reuse and recycle the majority of waste produced on site by the tenants, contractors and visitors. The judges were impressed with the extent to which the centre was able to recycle food waste, including fats, oils and grease into compost using the HOTBIN. Willoughby Road Allotment Association also put its HOTBIN to good use to grow its giant pumpkin. 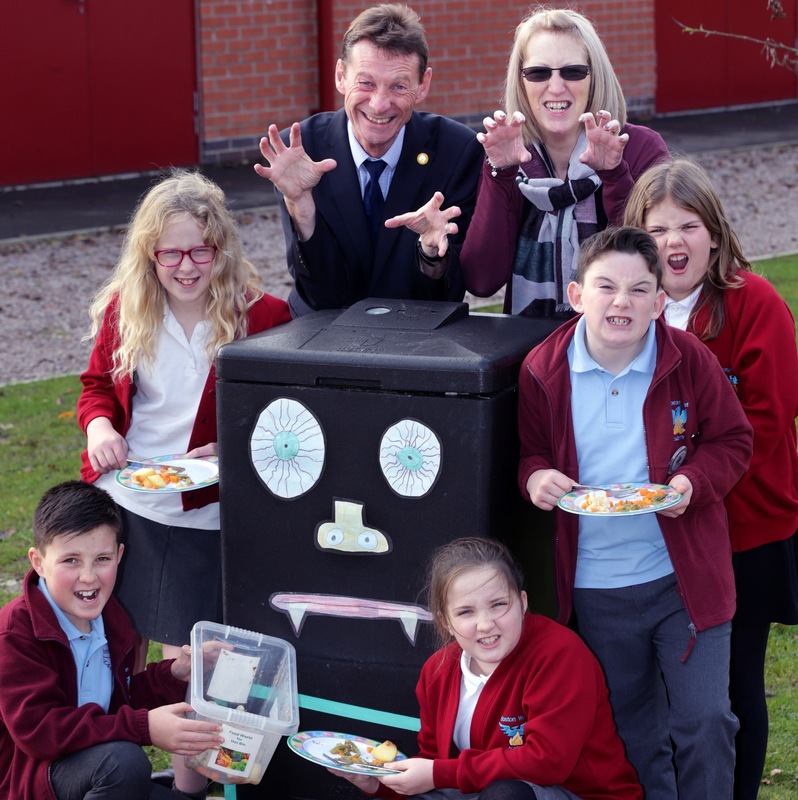 At Boston West Academy the pupils turned their HOTBIN into a “Waste Food Eating Monster”, which, with the help of their dinner ladies and caretaker they fed with food waste from school meals. 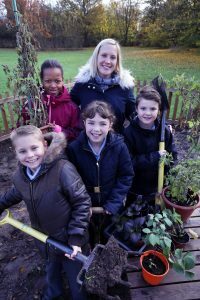 The children from the after school Eco Club planted the pumpkin seeds in the vegetable growing planter and watched their giant specimen grow. Mrs Shirley Chain, Eco Teaching Assistant, at Boston West Academy, said: “Here at Boston West we are enjoying feeding our HOTBIN monster lots of yummy food scraps and garden waste. St Bartholomew’s Primary School, in West Pinchbeck, not only kept a journal of its growing project but made two films too. The challenge has led to changes in the daily routine of the school. Scraps were collected after lunch to put in the HOTBIN. Left over jacket potato, beans, fish cake, gravy, sausage and fruit all found their way into the bin. 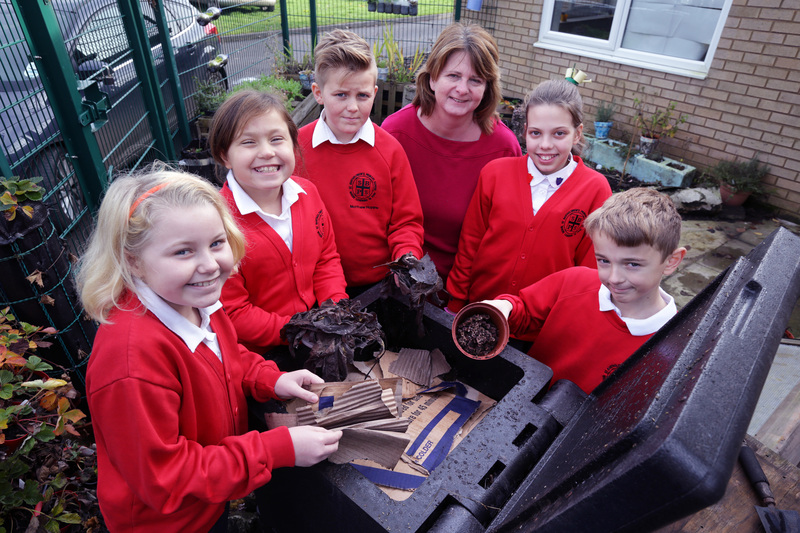 Compost from it was used to support the growth of the school’s new cherry blossom tree, passion flowers in its reflective garden and for spinach and sweet peas grown in containers. The judges were impressed by the efforts the school made to record its efforts, demonstrating the extent to which they engaged with the Fat of the Land campaign. St John’s Primary School, Spalding, won the prize for the biggest school pumpkin at 39 inches (1metre) in circumference.